Please share with us your favorite work series and the reason. I want to talk about Chinese Peking Opera first. This project has spent me nine years from planning to filming completion. 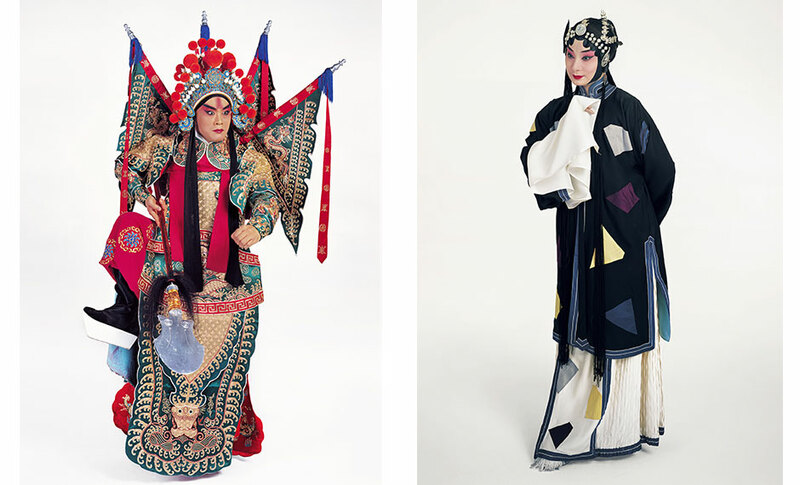 With a history of nearly 200 years, the traditional Chinese Peking Opera is the quintessence of Chinese culture as well as the representative of the concentrated Chinese culture. At that time, more than 100 famous Peking Opera performers across the country were invited to play the classic characters in several famous Peking Operas. Many of the costumes they wore were old-fashioned hand embroidery costumes made of gold silk and silver thread, which can’t be used in normal times. Famous Peking Opera masters, Liu Changyu and Song Xiaochuan, serve as the art consultants for this project. I mainly used the color reversal film with large format (8 x 10). The quality and the color reproduction are of high quality. At the time of the exhibition, as the texture was particularly qualified, some viewers wanted to touch it in that they thought it was a suit of clothes. After the completion of the project, the National Museum collected a set of original negative films for everyone with more than 100 original negatives of Chinese Peking Opera in total (so far the National Museum of China has collected several series of my works, nearly 1400 original negatives.). On April 8th, 2017 this project was exhibited at the Art Gallery of the China Grand Theatre. Later, it was also exhibited around the country. We are honored that it was also broadcasted on the NASDAQ screen in Manhattan, New York. These works are very precious in that they are both documentary and artistic. 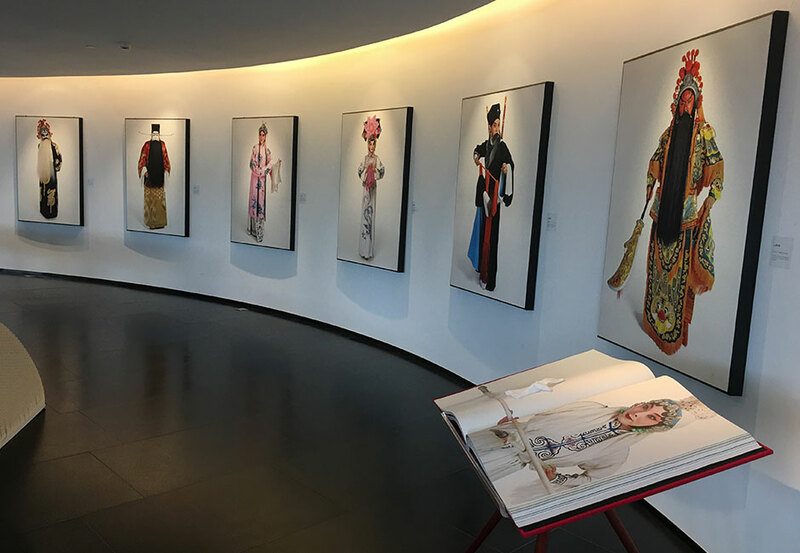 They can be exhibited around the world for the promotion of Chinese culture as well as the inheritance and promotion of Chinese Peking Opera. In addition, I went to Hokkaido twice with my wife. We mainly took a series of work entitled “Hokkaido in the Winter”. The winter in Hokkaido is beautiful and pure with white sky, white ground, white forest, white mountain, and white sea. Hokkaido, a clean and vast place. I also like that series. How did you get interested in film photography? Film photography is the first thing I learned since my exposure to photography. I think film photography is extremely different from digital photography. In addition to my own personal experience, I also went to Japan’s Fuji Company to communicate with those experts. In fact, digital photography has developed very well today and it is really better than film photography in network dissemination. If I use a 135 camera, I will choose a digital camera in that it’s more convenient than a 135 film photography. However, the camera I am using is a medium format camera, such as Hasselblad with the format of 6 x 6. Other large-size film cameras with the format of 8 x 10 perform much better than a 135 camera in image quality, work quality, color, texture, as well as color reproduction and detail performance. In general, I insist on using film camera as I pay more attention to quality of the work. What is absolutely necessary during your creative work process? I think that photography is about aesthetics in the end. I hope I could deliver the beauteousness of nature and the world through my works. Although the world is not perfect, we often complain a lot such as air pollution and environmental pollution. I will not spread matters with negative energy. I think that what I spread is that with true, good, and beautiful features. I think EIZO is the best brand in the monitor industry. The color reproduction could truly reflect the quality and spirit in the work, which is very important to each photographer that specializes in color management. The final presentation of a work can be consistent with the effect of the monitor, which is our pursuit. Because we don’t spread our work through the monitor, more often, we have to complete an exhibition or a book. The consistency of the monitor with the final work and color reproduction is most important. At this point, EIZO is superior to other monitors. I prefer this aspect. Have you benefitted from EIZO? EIZO can help me make a real work. It neither exaggerates your color nor makes your color excessively gorgeous. What the monitor presents is true and real. EIZO lets me foresee my work, which means that what it shows is what it outputs, which helps me a lot. If the picture on the monitor is consistent with your work, you can know how to make an adjustment of the color in your work. Therefore, I always choose to use EIZO for revising my photo. While I go to other places to edit photographs, I am wondering what monitor they use. If it is EIZO, I am particularly reassured and at ease in that I trust EIZO. 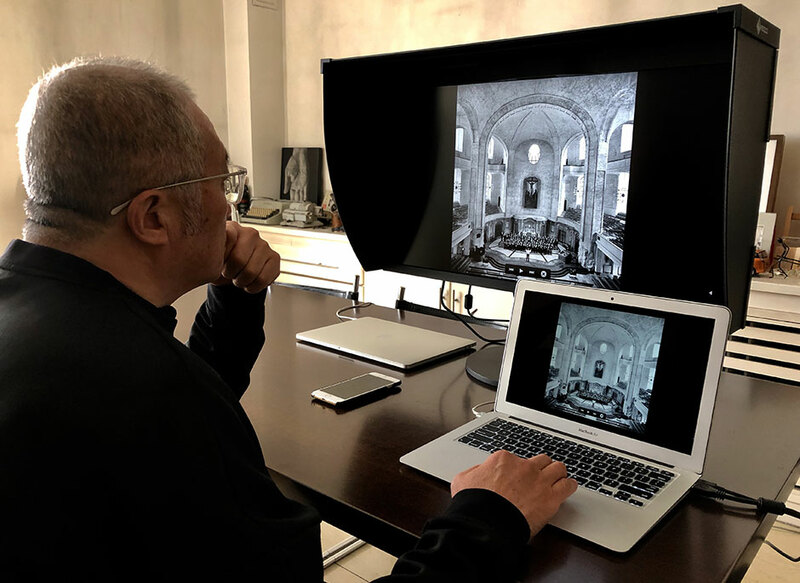 Over the years, I often recommend EIZO to my friends, photographers, and friends in photography studios. I also hope that more people will come to know EIZO well and use it. The best monitor product in the world should be known and used by more people. I appreciate all the efforts made by EIZO. 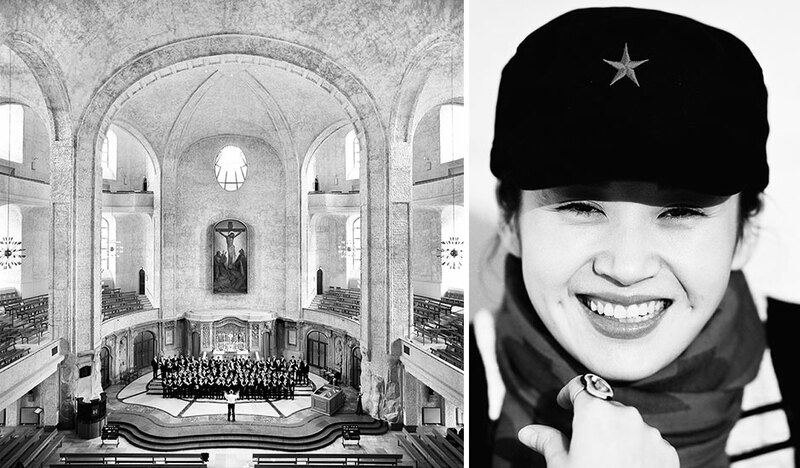 Pang Xiaowei is a member of EIZO's ColorEdge Ambassador Program. The program showcases creatives who are committed to inspiring and educating artist around the world of all levels. To view his profile, click here.